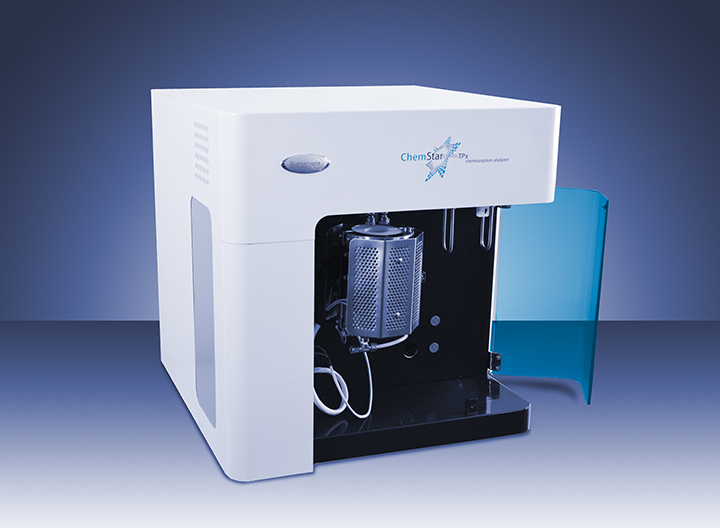 Offering the widest temperature range on the market (-100 °C to 1200 °C), ChemStar TPX is a fully automated instrument for the analysis of catalysts and reactive solids using reactive gases or vapors. Automated analysis routines, gas blending, and advanced data reduction software gives users access to a full suite of catalyst characterization techniques, including pulse titration and temperature program analyses. Optimized flow paths and data recording by a highly linear thermal conductivity detector (TCD) or optional mass spectrometer gives users precise results with minimal peak spreading.